The West Elks American Viticultural Area (AVA) spreads through Delta county on the Western Slope of Colorado. It boasts of some of the highest vineyards in North America and great Colorado wines. Discover the West Elks AVA wineries. Get access to their locations and websites. The wineries host 2 signature events: North Fork Uncorked and the West Elks Wine Trail. Learn more about those and other events held throughout the year. The Wineries of the West Elks AVA host 2 significant annual events: North Fork Uncorked and the West Elks Wine Trail. North Fork Uncorked features tasting the wineries’ new releases during Father’s Day weekend in June. 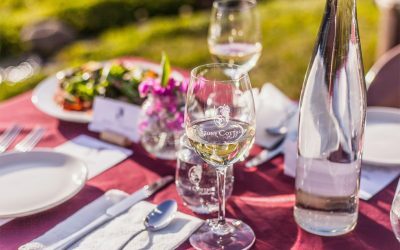 The premiere West Elks Wine Trail event features pairing the best of Colorado wine with the best of Colorado cuisine. Our Wine Journal includes articles, blog posts, etc., about the wineries of the West Elks AVA. Learn what others are writing about the wineries. 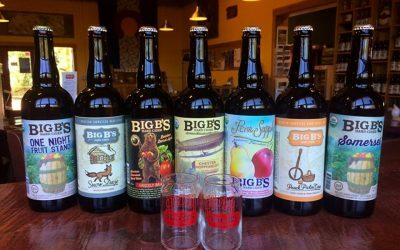 Big B’s Hard Cider was first produced in 2007 and was the first in the state to can hard cider and started producing it before the recent boom in cider popularity. 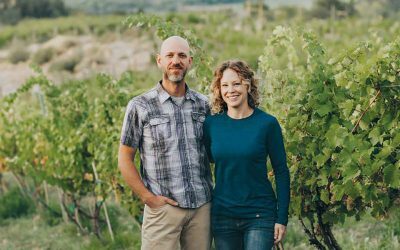 Storm Cellar Winery Q and A session with Jayme Henderson and Steve Steese. Conducted by Callie Sumlin of 5280 magazine, February 2019 issue.